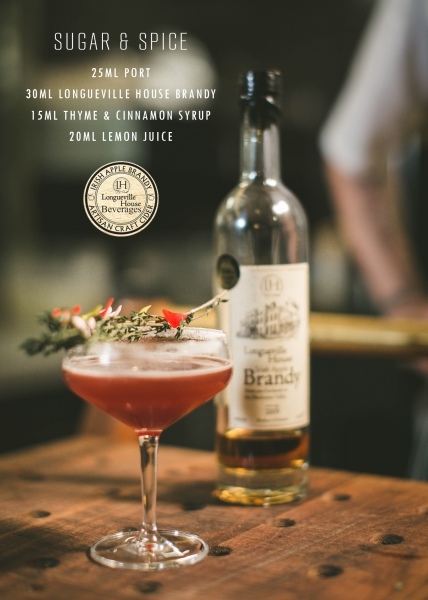 Longueville House Distillery was Irelend's first micro distillery (est 1985) and Ireland's fourth distillery to gain a licence for distilling spirits. Longueville House Apple Brandy is a double distillation (ABV 40%) of our own cider. Our distillery uses the Republic of Ireland's only flame fed antique copper pot stills and worm tub coil condensers. Once the cider is fermented, resulting in a rich amber colour it is poured into pot stills where it is double distilled into an apple brandy. The Brandy is stored in French oak barrels, where it is aged for between four and six years to mature. During the maturing process, the brandy draws out the tannins, vanilla, oak and smokiness from the oak wood. 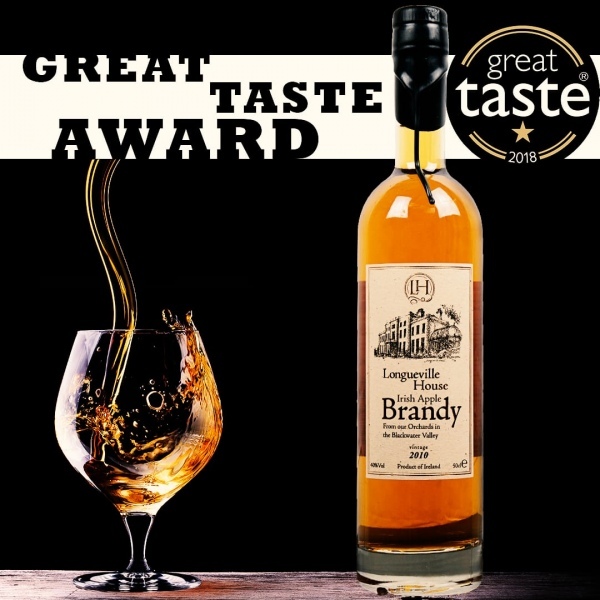 The resulting brandy is rich with the aroma of apples, smooth and full bodied on the palate. Our Brandy develops a rich, dark colour after four years resting in the oak barrels. 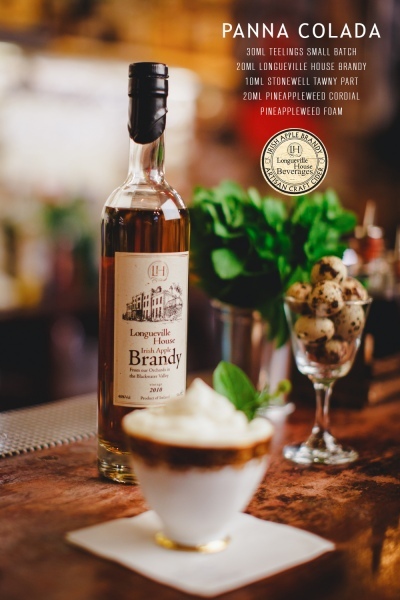 A fantastic after dinner drink served straight up, no need for ice or a mixer, warm the brandy in a brandy balloon in the palm of your hand to release all those wonderful tastes, flavours and aromas or add to coffee for a unique Irish Coffee - we call it “Longueville Coffee”. Sugar & Spice cocktail by Chapter One, Dublin. "The Menu has always been fond of a post-prandial snifter but, of late, has been quite mesmerised by his tastings of silky smooth Longueville House Apple Brandy. Twice distilled, then put down in French oak red wine casks for four years, this is one of our very finest native spirits, fit to hold its own with any of the world’s great alcoholic beverages. The Menu not only tasted sweet, tart apples but the saddle leather of a horse that might be partial to such an apple and the faint whiff of a farmyard lustily fertilised by the aforementioned steed. Left unchecked, The Menu’s mental maunderings would soon have him crying ‘tally ho’ as he rode steeplechase through the fields around Mallow but, even without his guff, there is no denying the complex tastes and aromas of Longueville Apple Brandy are deeply imbued with the terroir of its North Cork home. Nor is it just for sipping: A couple of tablespoons added to an orange zest and anise syrup in which The Menu gently poached some rhubarb fresh from his garden made for one of the finest fruit crumbles scoffed around these parts for years."